The idea comes from you, dear customers, since the first time you asked us more privacy, more independence, more space, more ... “paduanity”! Then, we started a meticulous, precise, almost fussy, research of all those living solutions that could guarantee the quality and atmosphere of Belludi 37, that kind of hospitality that in recent years you have confirmed to be the right way to best know and live Padua. More than a combination of vocation, inclination and expertise, we would like to define it as a way of being that must engage you in the path (although very short) of knowledge and experience of the city and its best. Staying in our apartments makes the experience even more complete, just like a real living, just as we would like to live in Padua, and not only live Padua for a single day. They are new, complete, maximally efficient, housing units equipped with all the comforts of a hotel, and always with something special compared ... to all! 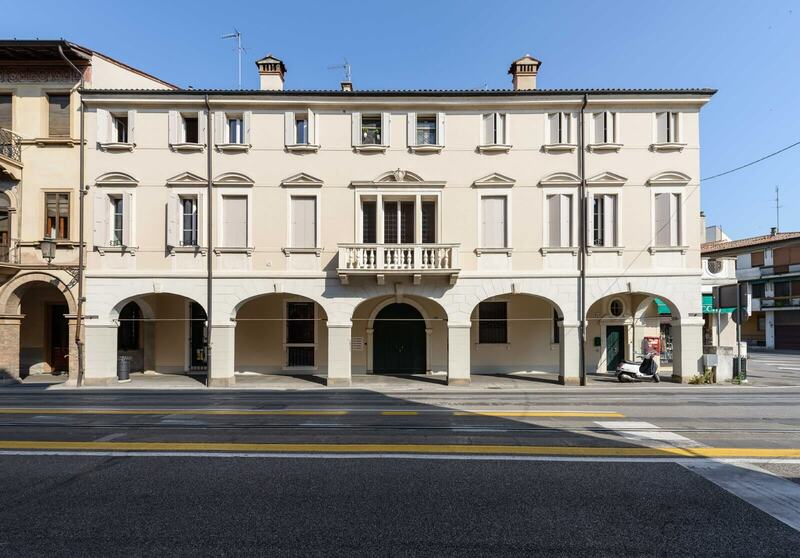 The location is very close to the sites of excellence of the city, means of transportation, essential services, and therefore close to Belludi 37. It is one of the most desirable residential areas in the city for its elegance, tranquility and security. We are talking about an area called "garden city", as you can see from google maps. We are about hundred steps from Prato della Valle, and therefore very close to the Basilicas of Saint Giustina and Saint Anthony, as well as the Botanical Garden, four stops not to be missed in Padua. Actually, they are places frequented by all Paduans who get excited, even after all this time, to the sight of these beauties. On the other side, on the west of the city, you can take the path of the “Riviera”, beginning with the impressive Specola, the historic Observatory, that will make you reach the center of the city through its tree-lined roads along the river. These roads come straight to squares: Piazza Duomo, Piazza dei Signori, Piazza dei Frutti and Piazza delle Erbe, Palazzo della Ragione, Caffè Pedrocchi, Palazzo del Bò, location of one of the oldest universities in the world. In short, you will agree that everyone writes "central but quiet" and sometimes, perhaps often, it turns out that it is neither the one nor the other. We live in this area. We would go to live in these apartments tomorrow. To understand a city, it is not enough to visit it.